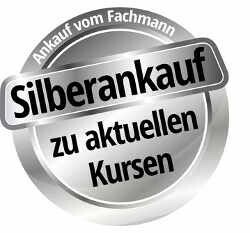 If you would like to or have to sell silver, sell your silver coins or silver bars to Edelmetalle direkt! We offer good purchase prices for coins and bars, which you can learn currently from the respective price lists. The price for purchase stated in the price lists is the sum that you will get paid out. No fees or taxes of this will be retained, like it is already the case e.g. in France.